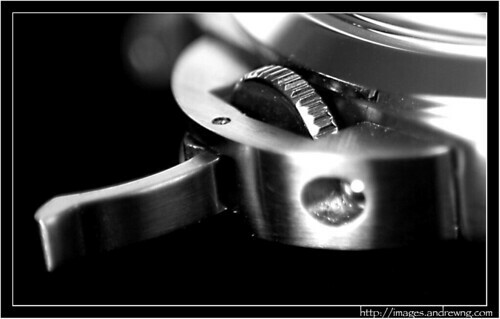 Posted on November 18, 2005, 9:37 pm, by ayn, under Horology. 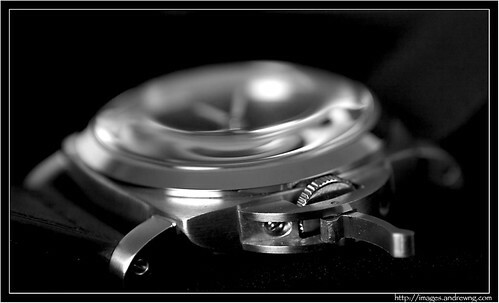 I put off buying a watch for a while; kept myself very busy with work, photography, and consulting. 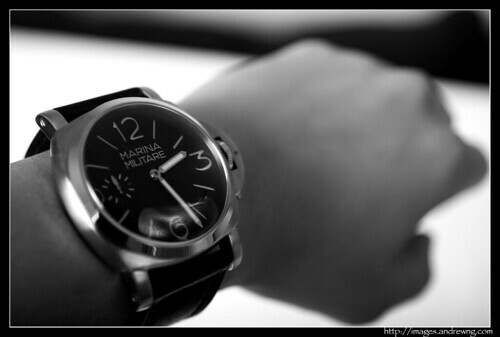 Nevertheless, my subconscious kept telling me that it was time for another watch. Earlier this week I casually went to the Big Watch Forum’s Trading forum, there I saw a listing with a brand-new-in-box MM20 from a seller who happened to be a Bay Area resident!! Two days and half a dozen emails later, we met up at a Wells Fargo in Santa Clara, turned out he owned 3 MM20′s, one as his daily wear, and two brand spanking new ones as spares, in case something happened to his daily wear. 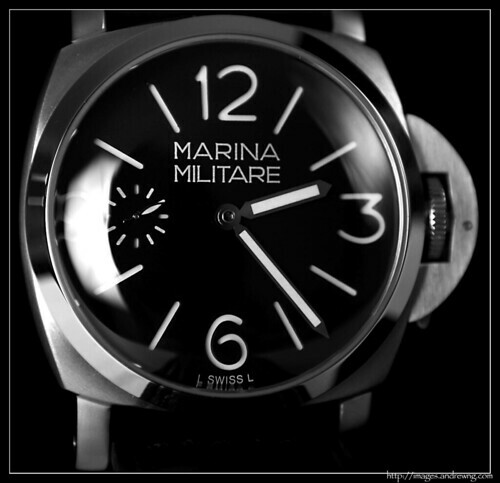 (yes, he loved the MM20, he also had a Panerai, which started his big watch obsession). He took off his daily MM20 for me to try on, my main concern about getting this watch was the size, it is 47mm wide without the crown! 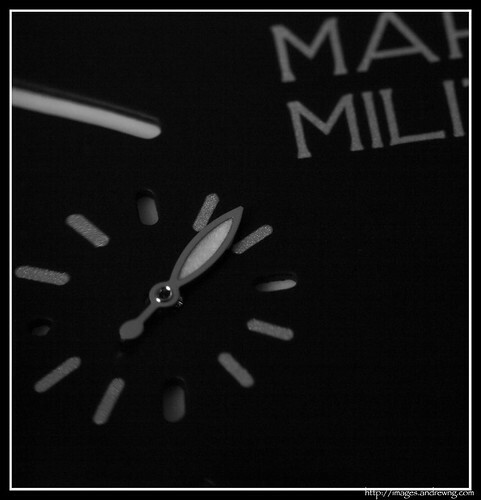 It does look huge in person and on my wrist, but maybe it was the styling of the dial, it looked just right. The watch was more beautiful in person than in pictures! I had to get it. As I don’t keep any money in Wells Fargo, we decided to just do it via PayPal, so we drove to my condo across the street and 10 minutes later, the watch was mine! Amin, the seller, was kind enough to show me how to change straps, the watch was shipped with the brown strap and I prefer the black strap. I must say this was one of the best internet transactions I’ve had. Amin, an attorney at Google, was a real pleasure to deal with. 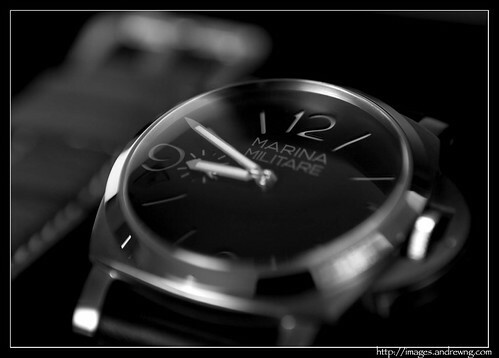 He was also very knowledgeable about the RXW, Panerai, and other big watches. The watch was in original BNIB conditions, it had never been worn! I actually felt a little bit of guilt as I removed the protective films and put it on my wrist. 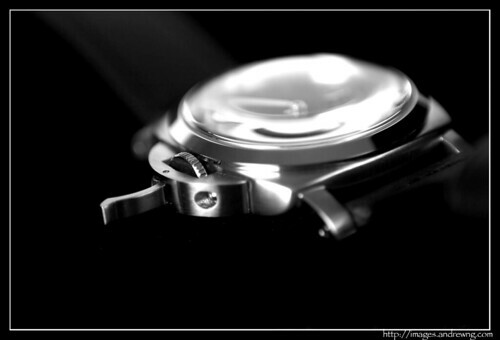 A picture is worth a thousand words, so here was my attempt at watch photography, follow this link if you fancy viewing them in their full-resolution glory. 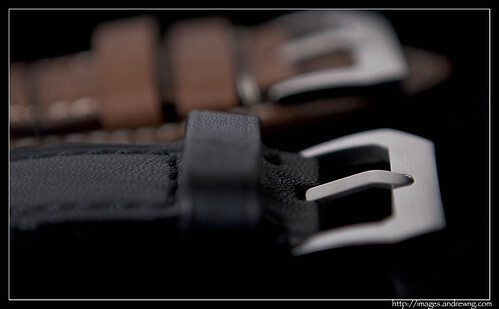 I still have it, wear it pretty often… Don’t have any recent macro shots of it… I’ve switched to the brown strap about a year ago, also switched to pushpins. Love this watch. Great watch but poor crown protector . Andrew, for many years now i love your pics of 'our' famous RXW, but never wrote it to you … now it's done mate! hope you liked my babes pic and maybe you can add it to yours … family affair. It\’s not loose, pretty much the same as it was new. It was never super tight though.